Like a business, the world of higher education isn’t immune to facing difficult challenges. Whether it be competition, demonstrating value, rising costs of tuition, or declining graduation rates, Higher Education officials have their hands full when it comes to recruiting the best and brightest. The Philadelphia College of Osteopathic Medicine (PCOM), a private, non-profit graduate college located in Philadelphia, has been dedicated to intellectual growth, the advancement of knowledge, and community well-being for well over a hundred years. To continue reaching prospective students effectively, PCOM determined it would need to invest in new ways to drive students to apply to its programs. What are prospective students looking for? Where (and how) are students searching? In the world of higher education, we understand that people take time researching to ensure their choice is a strong fit for their academic future. We were challenged by one of the PPC industry’s best practices for landing pages: fewer links on a page typically drives a higher conversion rate. (Gardner).² We wanted to ensure that our landing pages offered enough insight into PCOM’s offerings through their mission statement, campus locations, etc, but didn’t immediately direct users away from an application submission with a lot of links. Understanding a student’s intent and path to converting is key to discovering which actions you should improve upon to be successful. For PCOM, it was important to address student queries at all phases of the academic search. Are we giving students the information they need? As there are multiple ways that lead people to apply to PCOM’s programs, we expanded upon our conversion goals to measure each step in the applicant’s journey. With this line of thought, we marked brochure downloads that provided background on specific psychology programs, clicks to learn about upcoming open houses, clicks to the application page, and phone calls as conversion goals in Google Analytics along with form submissions to learn more about programs. 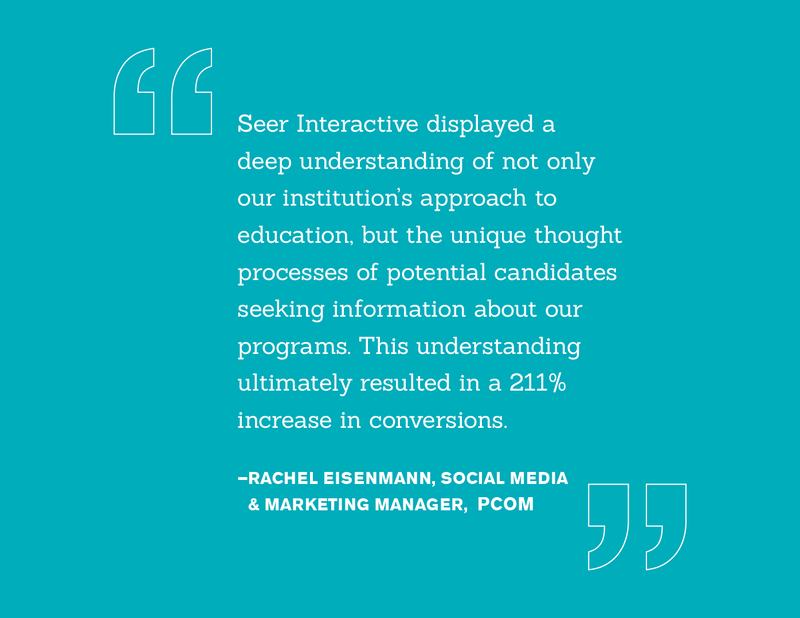 This allowed us a greater scope of what prospective students were connecting with on PCOM’s website and added a more comprehensive view of the user journey. With the age of mobile already upon us, it wasn’t too much of a surprise to see that prospective students were actively engaged with content on our mobile-optimized landing pages. 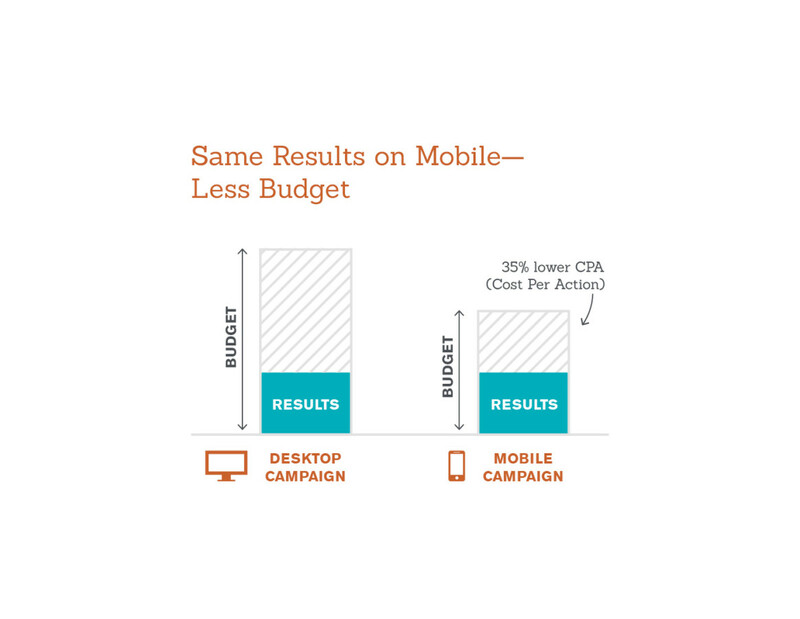 To capitalize on this finding, we replicated our existing campaigns to target only mobile. For example, our general, desktop “Degrees” campaign was copied to create the “Degrees (Smartphone)” campaign. To ensure there was no overlap, Seer implemented negative mobile bid modifiers on the Degrees campaign and positive mobile bid modifiers on the Degrees (Smartphone) campaign. In terms of form submissions, brochure downloads, and clicks to the application page, the two pages performed neck and neck, but the mobile-specific campaign saw a 35% lower CPA. By creating campaigns with specific device targeting, PCOM was able to reach prospective students on mobile devices where they were searching at a lower, more efficient cost. With a new website redesign for PCOM in the works, we found a fortuitous opportunity to test how prospective students would react to changes on our PPC landing pages. Were people more inclined to submit an application on a page with only the form or one that had links to additional resources? 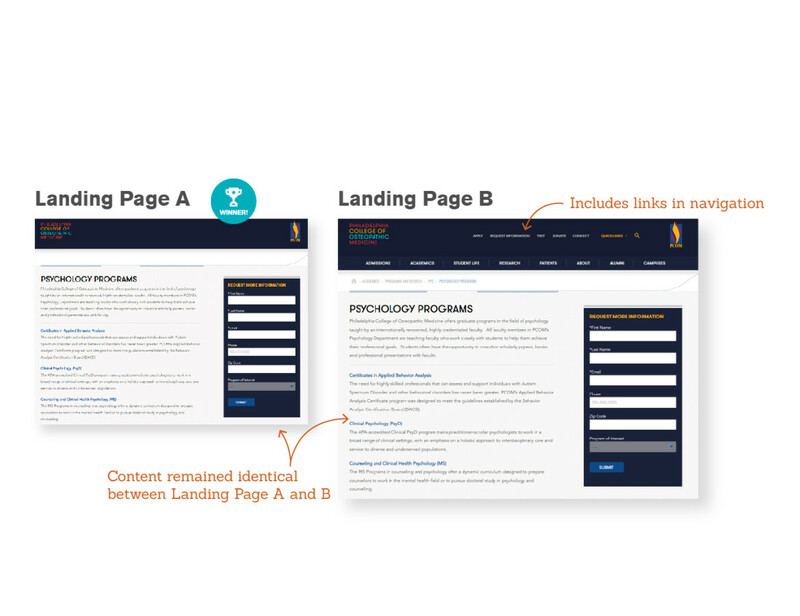 With recommendations from Seer, PCOM created two new landing pages for our PPC campaigns: one that had no links at the top of the page (Page A) and one that had links at the top of the page (Page B). With a goal of improving applications and lowering CPA, Page A emerged as the winner with 86% more form submissions, brochure downloads, and clicks to the application page at a 36% lower CPA than Page B. In this case, less links on a landing page were more effective; Page A saw efficient spend and gave enough information on programs for prospective students to convert at a higher rate than Page B. The PCOM and Seer teams aimed to increase applications to psychology programs by better appealing to applicants through our paid search efforts. Ultimately, Seer was able to increase overall conversions (form submissions, clicks to the application page, brochure downloads, and calls) by 211% and improved CPA by 70%. 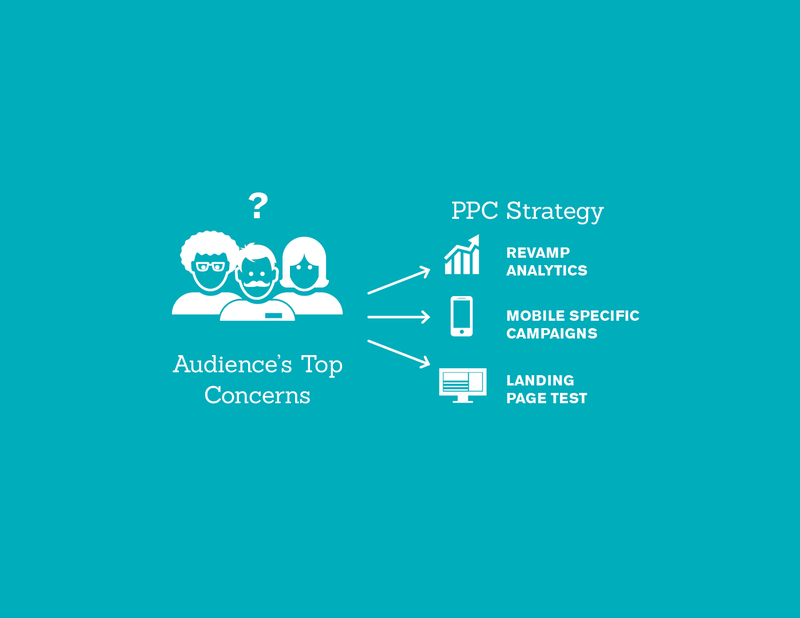 Want to learn more about how PPC can help you? Contact Seer Interactive today! Howard, Jennifer. “The Search for Knowledge: How Students Use Digital to Choose Schools.” Think with Google. N.p., Jul. 2013. Gardner, Oli. 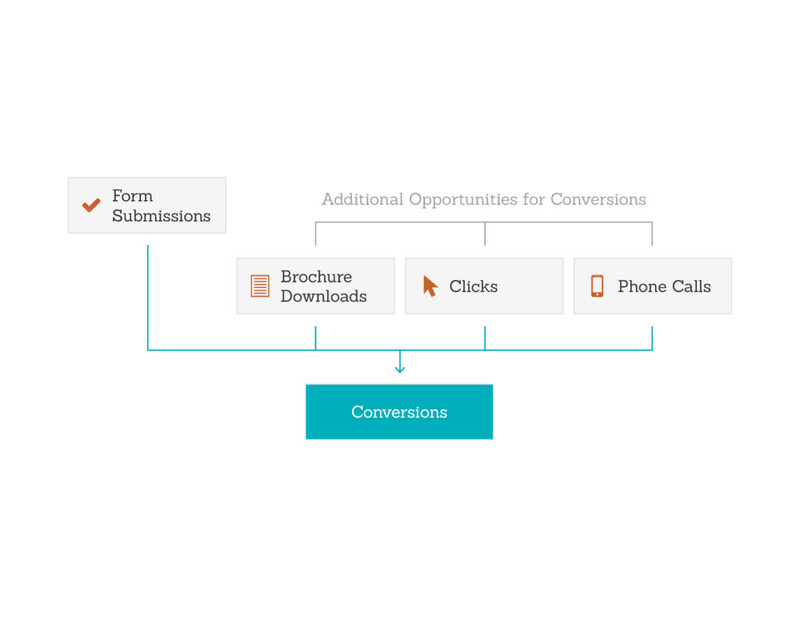 “Landing Pages for PPC.” Unbounce Latest Posts RSS. Unbounce, n.d. Web.